You will be collected from your Devonport accommodation or the ferry terminal at 7.30am this morning for your private 14 day adventure through Tasmania ! We head south-west towards Cradle Mountain, stopping en-route at Gunns Plains Caves and Leven Canyon. At Gunns Plains Caves we take a 1 hour tour through the cave, formed by an underground river that still flows and contains freshwater crayfish, fish and eel. Platypus nest and sleep in the sandy banks along the river. 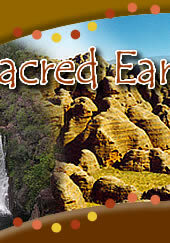 It is renowned for it's magnificent formations, including calcite shawls and flowstones, and has a glow worm display. Then to nearby Leve n Canyon, a spectacular 250m deep ravine worn over tens of thousands of years by rains and the Leven River which flows at it's base. It's estimated that between 45,000 -70,000 kilolitres of water roars through the canyon every day, which can be viewed from a cliff-face viewig platform, accessible by a short rainforest walk. Or take the challenge of the 697 forest stairs ! 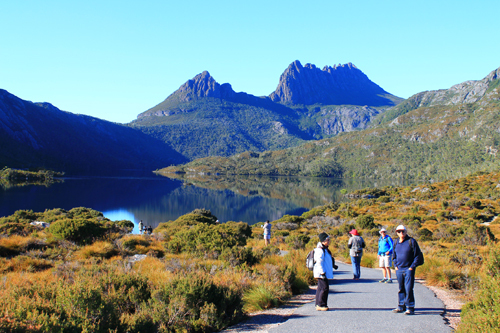 Our destination today is the Cradle Mountain, Lake St Clair NP and it will take most of the day to get there, with stops en-route. Once we arrive, there may be time for one of the shorter walks. We have the whole day to explore Cradle Mountain today. There are a range of walks available to us today, from short walks under an hour to longer walks of 4-5 hours. Other options are to visit the historic Waldheim Chalet or visit the Tasmanian Devil Sanctuary where guided tour are run at 1pm and 3pm as well as night feeding tours at 5.30pm and 8.30pm (extra cost). After break fast we depart Cradle Mountain and drive to the small town of Waratah, located on the edge of Lake Waratah and the Tarkine Wilderness, with a rich mining past and a magnificent waterfall in the town centre ! Once home to the richest tin mine in the southern hemisphere, we can now visit the restored stamper mill. 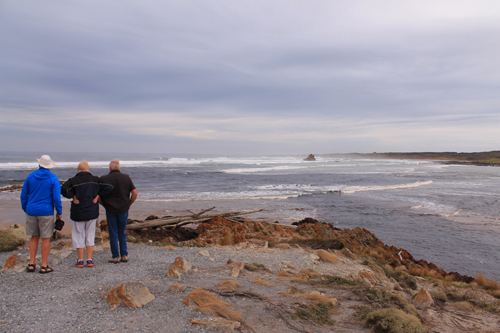 We continue north again to the seaside town of Wynyard and out to nearby Table Cape, a dramatic landform and Tassie icon that extends into the Bass Strait, with big views from the lookout and nearby lighthouse that are nothing short of spectacular. 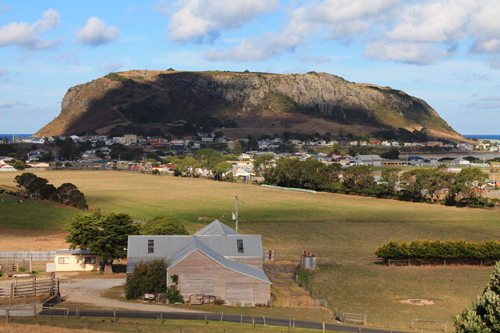 Our destination this afternoon is further west, to Stanley, famous for The Nut, an ancient extinct volcano which offers spectacular views over the Bass Strait. You can choose to either climb the Nut, take the chair lift, or simply enjoy the view of the Nut from our hotel. Today we make our way to the west coast with our first stop at Gardiner Point, known as "the Edge of the World". The sea west of Tasmania is the longest uninterrupted expanse of ocean on the globe. From Argentina, the currents sweep unimpeded more than halfway around the planet until they reach this point. 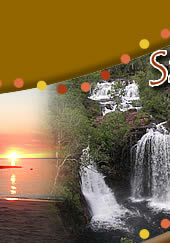 After a moment or 2 of reflection, we continue south along the Western Explorer drive to Corinna. The Western Explorer joins the north and the southern ends of the Tarkine, transecting the worlds largest remaining stretch of temperate rainforest. We arrive in Corinna, a remote settlement on the banks of the Pieman River- an unforgettable experience that unlocks the secrets of the Tarkine rainforest and the wild west coast. We have the afternoon here to explore the region and there are a range of walks available to view the pristine temperate rainforest, Huon Pines, the river, to a waterfall and to a lookout. 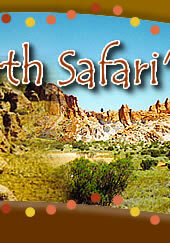 Other activities include a river cruise, kayaking and fishing (extra costs). We take the "Fatman" Barge across the Pieman River and continue south today. Our first stop is Zeehan, where we visit the interesting West Coast Heritage Centre, a museum dedicated to the history and pioneers of the West Coast of Tasmania. Departing Zeehan, we make our way to our overnight stop at Strahan, a pretty harbour-side village with a dark and fascinating convict past, set o the edge of the Tasmania Wilderness World Heritage Area. Nestled on the shores of the massive Macq uarie Harbour, Strahan is the gateway to the World Heritage Listed Franklin-Gordon Wild Rivers NP. We have some free time in the town this afternoon for you to browse the shops along the waterfront, enjoy the beach, walk to the Water Tower Hill Lookout or through the rainforest to Hogarth Falls. 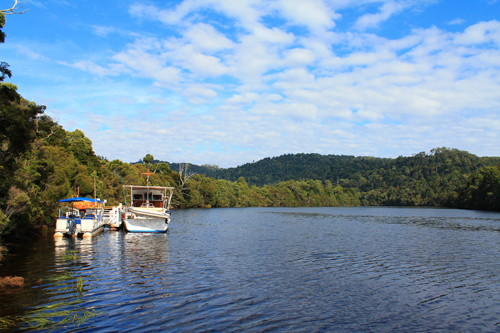 At 3.30pm, you'll take a 3.5 hour cruise on the Gordon River, where you'll get in touch with the wilderness as you view various trees including the ancient Huon Pine tree, pass working fish farms that produce world famous salmon and ocean trout and continue across the harbour to reach it's narrow entrance, the notorious "Hells Gates". This mornin g we'll travel to Queenstown....by steam train ! We'll take a ride on the West Coast Wilderness Railway from Strahan, including the King River Gorge, the "rack" section of the railway track, magnificent rainforest and all stations along the way. The train finishes in Queenstown, the largest town on the West Coast and originally developed to service the booming copper fields of Mt Lyell. Whereas Tasmania is known for it's greenness, Queenstown is orange /red ! After viewing the decommissioned Iron Blow Mine (now fllled with emerald water) over it's lovely lookout, we'll continue east through the Franklin Gordon Wild Rivers NP to Derwent Bridge. En-route we take a short and easy walk to the picturesque Nelson Falls. We check into our accommodation and then make our way out to Lake St. Clair NP at the southern end of the world famous Cradle Mountain- Lake St. Clair NP and part of the Tasmanian Wilderness World Heritage area. Carved out by ice during several glaciations over the last 2 million years, this is the deepest lake in Australia and the headwaters of the Derwent River, upon which the capital city of Tasmania is located. There are a range of walks available here. Just out of Derwent Bridge is the Wall in the Wilderness, an ambitious art project of beautifully carved wood panels, depicting the history, hardship and perseverance of the people in the Central Highlands and paying homage to the individuals who settled and protected the area. We continue through the Derwent Valley to Westerway and then travel west towards Gordon dam, set in Tasmania's wild south-west wilderness and ringed with rugged mountain ranges. Lake Pedder and it's companion Lake Gordon, together comprise the largest inland freshwater storage in Australia, covering more than 5000 sq kms and holding more than 37 times the volume of water than Sydney Harbour ! Gordon is the largest power station in Tasmania. The water in Lake Pedder provides around 40% of the water used in the Gordon Power Station and the original Lake Pedder was flooded as part of the Gordon Power Scheme, which created wide spread opposition from conservation groups. Our final stop today is Mt. Field NP, one of Tasmania's most loved national parks. Here we can walk to Russell Falls, Horseshoe Falls and you have the option of completing the circuit to Lady Barron Falls and the tall swamp gums, amongst the tallest trees in Australia. Heading east today, we're travelling to Hobart. En-route we stop in New Norfolk, situated on the banks of the Derwent River. Willow Court was formerly an Asylum for the insane, part of the former Royal Derwent Hospital and is the oldest mental hospital in Australia on it's original site. Now the precinct offers a cafe, antique shop and interesting features around the grounds. We reach Hobart, Tasmania's capital city and the 2nd oldest capital in Australia, after Sydney. Located at the entrance to the Derwent River, it's well- preserved surrounding bushland reaches close to the city centre and beaches line the shores of the river and estuary beyond. The rest of the day is free for you to explore this vibrant city. Today is at your leisure to explore Hobart. Perhaps explore the Botanical Gardens, visit Salamanca Place (the markets are on saturdays) , visit the MONA museum, take a tour to Bruny Island, take a shuttle to neary Mount Wellington / Kunanyi, have a look around one of the museums....the choice is yours. We spend today on the nearby Tasman Peninsula including coastal attractions at the Blowholes, Tasmans Arch and Devils Kitchen. Then onto the Port Arthur Historic Site. The site was established in 1830 as a timber station and was soon built into a small town to house and punish over 1000 of Tasmania's most notorious convicts. This dark history contrasts with the beauty of the surrounding area. Full of powerful stories of hardship and loss, it's one of Tasmania's most rewarding travel experiences. Our entry tickets includes a 40 minute guided walking tour, a 25 minute harbour cruise, access to more than 30 historic buildings, ruins, gardens and restored houses on the site and access to the Convict water supply trail and the dockyard. There are options to upgrade your ticket to include the Point Puer Boys' Prison Tour or the Isle of the Dead Tour as well as Ghost tours available (extra cost). Today we explore the World Heritage Listed Coal Mines Convict site on the other side of the Tasman Peninsula. The site reveals the harsh lives of the repeat offender convicts who worked underground extracting coal. On our way north again, we call into Richmond. The town is as elegant today as it was in the 1820's when it was an important military staging post and convict station linking Hobart with Port Arthur. Nestled in the Coal River Valley, this classified historic town is famous for it's Georgian architecture and it's bridge, which is the oldest, still in use, in Australia. The stone buildings now house galleries, tea shops, craft boutiques and museums. Our destination today is the rugged and beautiful Freycinet Peninsula and we finish the day at Cape Tourville Lighthouse for stupendous views of the Freycinet NP. An early start today, to begin walking in Freycinet NP. We would recommend the walk to the stunning, perfectly shaped Wineglass Bay, which is approx 3 hours. A shorter walk is also available to the lookout, as well as wildlife spotting and enjoying the beaches. Freycinet NP consists of knuckles of granite mountains all but surrounded by azure bays and white sandy beaches. The dramatic peaks o the Hazards welcome you as you enter the park. After lunch we continue up the east coast to the beautiful Bay of Fires, where we can explore and / or relax before making our way to our accommodation. Departing St. Helens this morning , we make our way west to Pyengena, where we visit n award-winnng cheese factory- yum ! Nearby are St. Columba Falls, one of Tasmania's highest multi-tiered waterfalls. A good walking track through cool and shady rainforest leads to a viewing platform t the base of these stunning falls, which can also be viewed from the car park. Turning west, we continue through Derby and Scottsdale to Launceston, Tasmania's 2nd major city and a vibrant hub for food and wine, culture and nature. One of Australia's oldest cities, Launceston has one of the best-preserved early cityscapes in Australia' with it's elegant Colonial and Victorian buildings. Just a short walk from the city centre, Cataract Gorge is a slice of wilderness right in the heart of town and Launceston's star attraction. We have time here for walking, swimming in the gorge, enjoy the beautiful gardens, walk across the suspension bridge or take a chair lift (the worlds longest single span chair lift). There is some more free time in Launceston before we drive north, through the Tamar V alley, to Beaconsfield, a gold-mining town with a past tinged with stories of gold, wealth and survival. Located on the western banks of the Tamar River, Beaconsfield was once Tasmania's richest gold-mining town with a mining heritage that continues today. We visit the local Mine ad Heritage centre, which shares the tools of the trade, the stories of the past and reflects on the 2006 mining disaster when 2 miners were trapped 1km underground for 14 days after a dramatic rock fall. Then onto Devonport, arriving mid-afternoon. You will be dropped off at your Devonport accommodation. This tour is operated as a private tour only (sole use of tour vehicle and driver guide) and can depart on any day, subject to availability and weather and road conditions, between November and end March inclusive.